During a recent visit to Grand Cayman, I visited the Queen Elizabeth Botanical Garden. It was an absolutely wonderful experience that allowed me to see some very unusual plants, birds and reptiles. 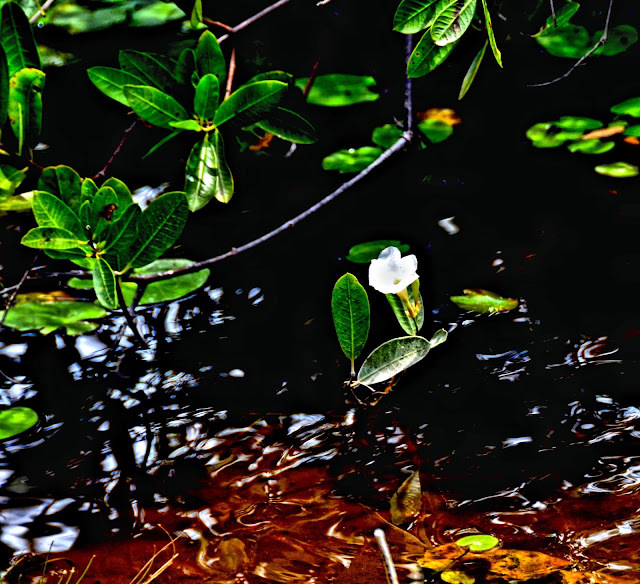 The one thing that really stood out in my mind ws this mangrove blossom. Living in Key West, I'm surrounded by mangroves, but this is the first time that I ever saw one in bloom. They are not a spectacular blossom, but it was great to actually see one blooming.